Fast, precise and automatic laser cutting filtration fabric medium with GOLDEN LASER flatbed CO2 laser cutting machines. Filtration as an important environmental and safety control process, from industrial gas-solid separation, gas-liquid separation, solid-liquid separation, solid-solid separation, to air purification and water purification in daily household appliances, filtration has been increasingly widely applied to multiple areas. Specific applications such as power plants, steel mills, cement plants and other waste discharge treatment, textile and garment industry air filtration, sewage treatment, chemical industry filtration crystallization, automotive industry air, oil filtration and household air conditioning, vacuum cleaner air filtration, etc. At present, the filter materials are mainly fiber materials, woven fabrics and metal materials, especially fiber materials are most widely used, mainly cotton, wool, linen, silk, viscose fiber, polypropylene, nylon, polyester, acrylic, nitrile and other synthetic fibers, as well as glass fiber, ceramic fiber, metal fiber, etc. As the application field of filtration continues to expand, the filtering materials are constantly being updated. The filtration products are from dustproof cloth, dust bag, filter screen, filter cartridge, filter barrels, filter cotton to filter core. Large format CO2 laser cutting machine is ideal for cutting filtration medium thanks to the non-contact process and high precision achieved by the laser beam. In addition, the thermal laser process ensures the cutting edges are automatically sealed when cutting technical textiles. 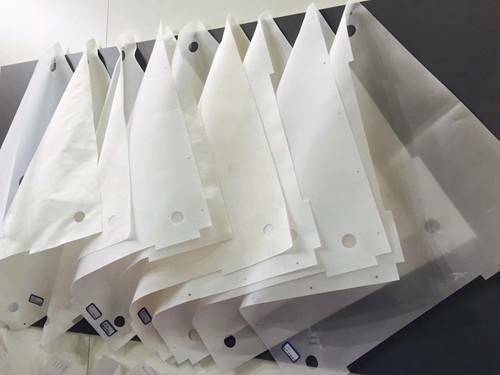 Since the laser cut filter cloth does not fray, subsequent processing becomes easier. What are the advantages of cutting filter cloth with laser? Filter materials require increasingly finer holes. Especially in micro-hole processing, traditional processing methods are difficult to meet the established requirements. The laser can punch holes for the filter material in various specifications and various patterns. Smooth cut edges. Automatic sealing of the cut edges - no fraying. High precision, even for fine details and radius-free inner contours. No textile distortion - due to non-contact laser processing. 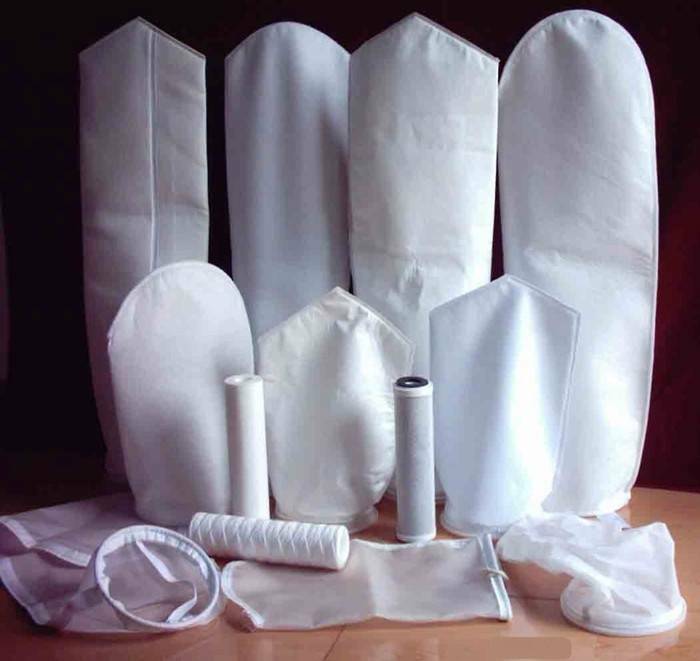 Filter fabric, glass fiber, non-woven fabric, paper, foam, cotton, polypropylene, polyester, polyamides, nylon, PTFE, sox duct and other industrial fabrics. High speed, high precision and highly automated. Rack and pinion & double Servo drive motion system. Higher efficiency and stability. Economic model of CO2 flat bed laser system with belt transmission system. CO2 laser cutting machine for large-format flexible material. High precision rack & pinion driving system. The cutting speed up to 1200m/s, the ACC up to 10000mm/s2, maintain long-term stability. World-class CO2 metal RF laser generator, stable and durable. Vacuum absorbing honeycomb conveyor working table. Flat, automatic, low reflectivity from laser beam. High efficiency "INK JET PRINTER" together with cutting at the same time. Auto-feeder: Tension correction and feeding with laser cutter for continuous feeding and cutting. Independent intellectual property rights. The customized control system for industrial fabrics. Japanese YASKAWA Servo motor. High precision, stable speed, overload ability. Fully automatic sorting system. Make the material feeding, cutting, sorting at one time. 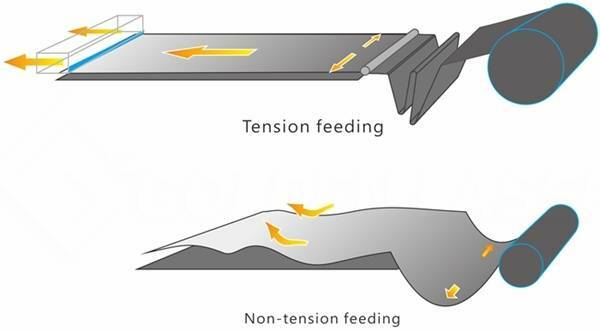 No tension feeder will easy to distort the variant in the feeding process, resulting the ordinary correction function multiplier; Tension feeder in a comprehensive fixed on both sides of the material at the same time, with automatically pull the cloth delivery by roller, all process with tension, it will be perfect correction and feeding precision. Rack and pinion motion system equipped with high-power laser tube, reaches to 1200 mm/s cutting speed, 8000 mm/s2 acceleration speed. Fully automatic sorting system. Material feeding, cutting, sorting at one time. Watch laser cutting machine for filter cloth in action! We have a complete laser processing technology, including laser cutting, laser engraving, laser perforating and laser marking. We have a huge amount of laser process data accumulation. We can testing your materials with our laser machines, and optimize the process flow. Samples testing video, processing parameters and other related information are provided free of charge. We have been customer-oriented, deeply exploring the needs of the industry, providing digital laser application solutions, promoting the transformation and upgrading of traditional industries, and helping users to innovate and develop. GOLDEN LASER is involved in many application fields, and a number of solutions are at the leading level in the industry.